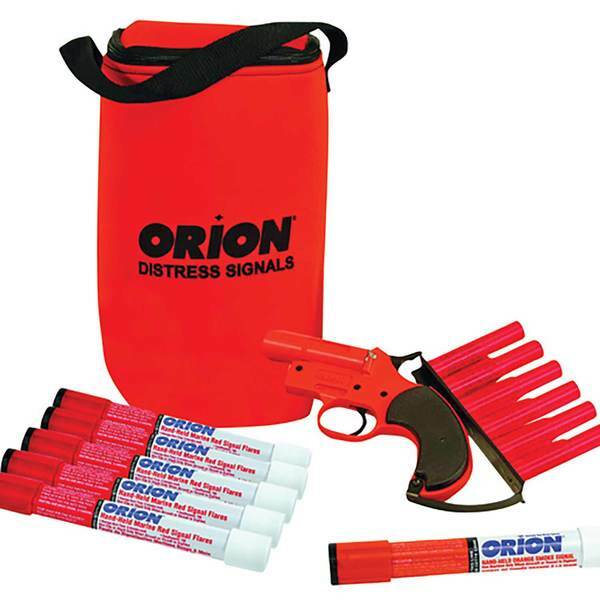 Our West Marine exclusive Alert and Locate Signal Kit is a great way to meet visual distress signal requirements for coastal boating. 12-gauge pistol-style launcher with bandolier. Everything is contained in a soft, buoyant bag. USCG approved for day and night signals. Handheld flares have a light output of 700 candela and burn for three minutes. Smoke flare produces orange smoke that is visible for up to five miles, and emit smoke for one minute. 12-gauge aerial flares rise to a height of up to 500' and burn at 16,000 candela for up to seven seconds.